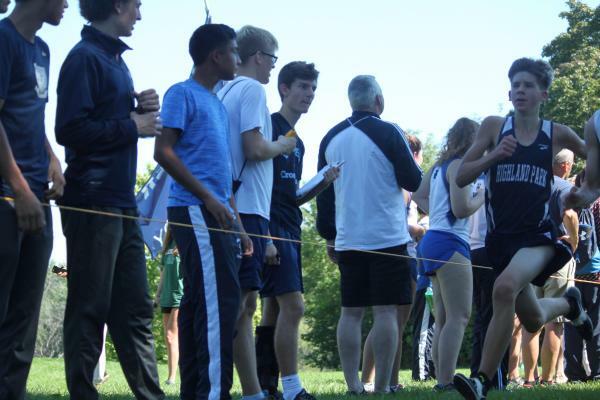 After a big confidence building Quad Meet at Deerfield earlier in the week, the Giants looked to continue to improve as they competed at the Libertyville Invite. 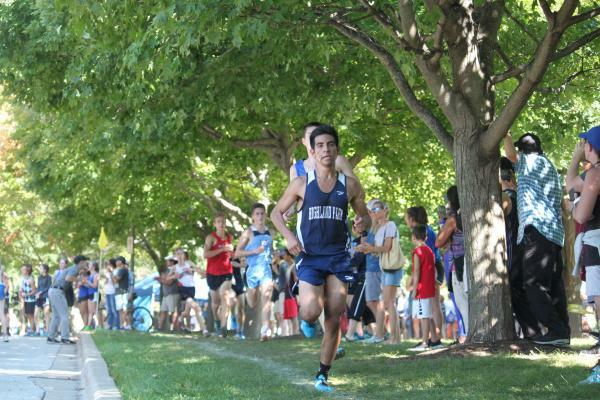 Senior Jose Reyes continued his strong racing as he improved his time from last year at this meet by 28 seconds to take 2nd place in the varsity race with a time of 16:01. He was just 5 seconds behind 1st place. Sophomore Jason Polydoris earned a medal in another invite by taking 9th place in 16:39.8. This time was 2:22 seconds faster than what he ran last year at this meet! Next in for the team was freshmen Alex Brown with a time of 17:44.8 on the challenging 3 mile course. He was followed by Erik Anderson in 17:58.4 which was 1:37 faster than last year. The top five were rounded out with senior Jordy Mazza running 18:10.2. For the team to be successful, the 1-5 gap must be much smaller as well as the gap between the number two and three runners. The varsity will continue to focus on making these improvements. 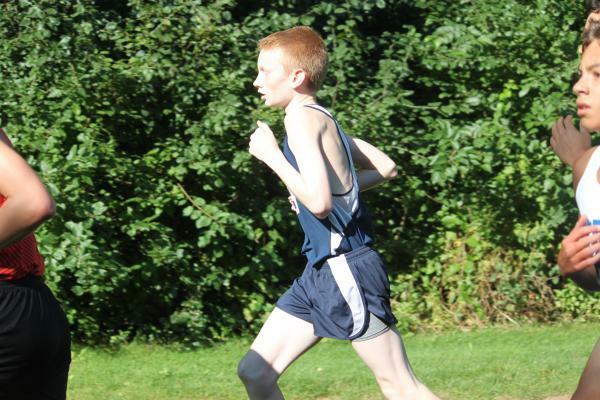 The Giants were led by sophomore Tyler Carlson in the Frosh-Soph race with a time of 19:13.4. Last year he ran a time of 19:52.0. Next in for the team was sophomore Evan Diethrich with a time of 19:41.5. He also improved his time after running 20:29 last year at this meet. 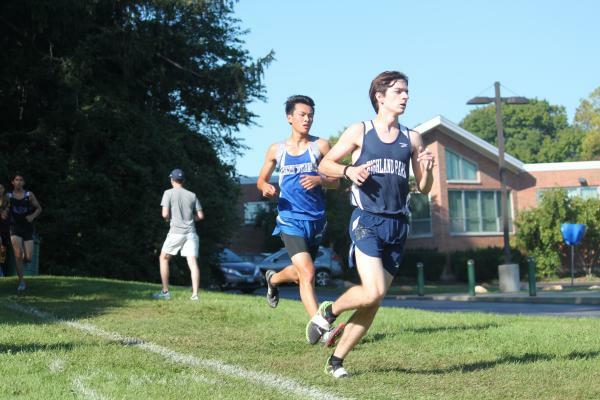 Sophomore Jack Levine ran 19:56.3 to improve form his last year’s time of 21:21.0. Sophomore Ari Kaden ran 20:18.4 which was nearly a minute faster than last year. The top 5 was completed with freshmen Hunter Kells running 20:19.1. The members of the Frosh-Soph team know they have to stay consistent with the training so that they can improve and become more competitive in invites like this one. The Open race was led by junior John-Henry Ohlwein as he finished in 20:35.3. The team will focus on their training as well as getting healthy as they do not have another invite for a few weeks. Next Tuesday will be the 2nd CSL North Quad Meet and is hosted by HP at the new course on the Highland Park Country Club property. The team will be looking to keep their streak of sweeping the Quad Meets alive!